Argentina | Strike of Lightning! Europe leading the way in Protectionism! 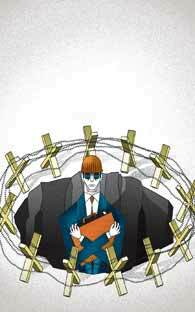 The resurgence of protectionism in several countries, mainly in Europe, both in trade and in capital flows following a prolonged recession, are a risk to the financial health of many economies. According to a study published yesterday in New York by Standard and Poor’s, the closure of European economies may affect the development and growth of Latin American countries, mainly in the center of the region. “The impact of possible shocks differs in several places outside the region. Central America is more vulnerable than Mexico and many Latin American countries, which have a greater capacity to adopt countercyclical policies, “says the report. Latin America will grow between 3.5 and four percent in 2012 that is two percentage points higher than developed countries and currently available as a region of higher grades of sovereign debt before the start of the global crisis in 2008, according to S & P.
However, the rating agency warns in his study entitled The changing global economic outlook and its impact on Latin America a risk of unexpected change of the current policy framework affecting international trade and capital flows. According to Standard and Poor’s (S & P), “uncertainty and change characterize the global economy in 2012” with the possible negative impact on emerging markets. These recent analyzes, the firm adds the risk of “abrupt changes in the rules of the international economic system” that could “affect” the prospects for growth in Latin America. For the World Economic Forum, there are many examples of countries taking measures that discriminate against foreign firms and products to protect its domestic market. “The pressures of high unemployment are increasing the demand for protection and stabilization measures of the government. There are several legal forms of protection that can be applied administered through procedures such as those on anti-dumping , countervailing duties and safeguards, “the agency said in its 2010 report on Global Trade Facilities . Then there is the prospect of many years of hardship and painful reforms in Europe (and to a lesser extent, in the U.S.), which could create an unexpected political backlash, changing the general course of international politics. “The stagnation would undermine the perception of earnings, a result of increased international economic integration, potentially leading to a backlash in some countries for greater nationalism” they add. For specialists, Brazil is one of the nations in Latin America is turning to protectionism in the economy as a way to revive its growth rate, which rose from 7.5% in 2010 to 2.7% in 2011. The country has great potential in raw materials and an internal market of 205 million. The scenario in Latin America may be complicated if the sixth largest economy now decided to close. “There will be a slowdown in world trade will be cut and recovery prospects on a global scale,” according to the analysis of S & P.
France is another example. President Nicolas Sarkozy threatened on Sunday to ignore the European limitations on the issue of protectionism to support his country in an election more than an economic issue.Sarkozy said it was time to support local businesses and stop the uncontrolled flow of immigrants and cheap imports, which demonstrate the lack of protective controls. He also proposed a European law similar to the Buy American , which would force governments to be in favor of the purchase only of products manufactured in Europe, and said France would begin to apply the rule unilaterally. United States has been criticized for its other nation protectionism that violates NAFTA agreements and NAFTA. 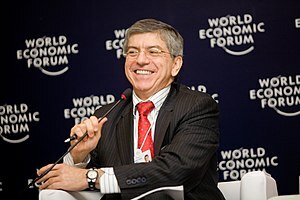 Even Mexico has stated that “political restriction” in the U.S. Congress led by the unions, the clause Buy American for the consumption of American products and the tendency of EU to protect their companies, restrict international competition, as an example is the question of the entry of Mexican carriers to U.S. territory. In recent years there is a rise in applications and implementations of the measures dumping (if a company exports a product at a lower price than it normally charges on the market, is said to be dumping ), says the World Economic Forum. According to the agency, average tariffs in Brazil and Argentina rose three percentage points, due to increases in industrial taxes. In contrast, there was a marked decrease in the average tariff rate of one to two percentage points in Nigeria, Mexico, Iceland and Ukraine. BUENOS AIRES, March 2. 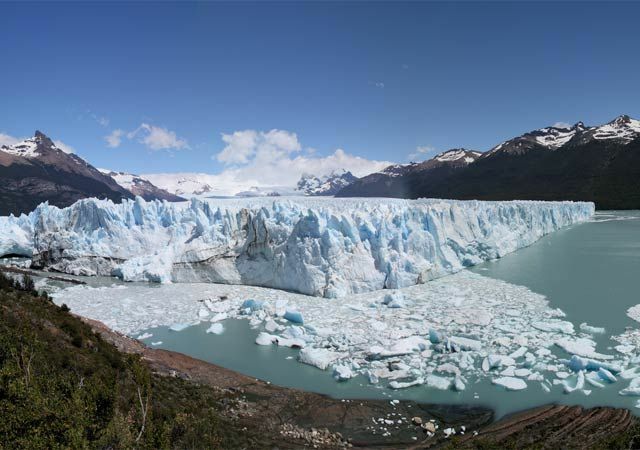 – The stunning Perito Moreno Glacier in southern Argentina, has begun the process to its cyclic rupture, a show that attracts thousands of tourists, official sources confirmed today. The ice dam that separates the Rico and the Canal arm of Lake Argentino Icebergs began tracking leaks on Wednesday and is expected in the coming days will produce its thunderous break. Media reports began to settle on the runways of Los Glaciares National Park in the southern Santa Cruz province, where the glacier can be seen waiting for the big show. Sources of the Secretariat of Tourism of Santa Cruz told Efe that while the rupture process began Wednesday, and visitors began to arrive to the area and greater influx is expected in the coming days. The director of the Los Glaciares National Park, Carlos Corvalan, told local press that the rupture could occur between Saturday and Sunday and reported that the reserve will be open for a extended hours. The phenomenon is caused by the pressure of water above the ice dam, which begins to crack to form an arch-shaped hole that ends up weakening and collapse. The last rupture occurred in 1988, 2004, 2006 and 2008. For the imminent rupture is expected that the number of visitors to Glacier National Park, in the summer season is usually around 2,500 people per day, double this weekend. The Perito Moreno, about 200 square kilometers extension is located on the Andes, the natural boundary between Argentina and Chile, and is one of the few in the world that is stable without flinching as a result of global warming. The front of the glacier is about 2.8 kilometers long and has a height of 70 meters above water level of the lake, although the ice wall reaches his bed. Angie Sanclemente Valencia (beauty Queen) expresses remorse: Drug Trafficking! It was 2000 and the beginning of a career that would propel Sanclemente into the world of her dreams as an internationally acclaimed model. After winning the Colombian pageant, she quickly found work as a lingerie model in Mexico and other countries. She also started training as an actress and took theater lessons. But Sanclemente’s career came to a screeching halt in May of 2010 when she was arrested in Argentina and charged with drug trafficking. Interpol had issued an arrest warrant against her in December of the previous year after she was connected to a 21-year-old woman who was arrested just before she was to board a flight to Cancun, Mexico, from Buenos Aires carrying 55 kilograms of cocaine (120 pounds). The fallen beauty was on the run for five months, hiding in Argentina. After being convicted in early November, Sanclemente is speaking from prison for the first time. It’s quite a change from the life of glamor she lived before her arrest. “I have been here [in prison] one year and seven months. I’m innocent of all of the accusations. It was all a big misunderstanding,” Sanclemente said. Her 2010 arrest was an international scandal and her Interpol mugshot made headlines around the world. The former queen of coffee became known as “the queen of cocaine.” Four men and two other women were also arrested in connection with the case. Argentinian authorities charged her with leading a ring of fashion models to smuggle cocaine from South America and into Europe, via Cancun. She says her Argentinian boyfriend and his uncle, who are also in prison, were indeed involved in drug trafficking, but not her. “It may sound ridiculous and incredible, but I’m innocent of this farce they invented. My boyfriend made a mistake, and I’m paying the consequences. But I love him and I love him because he loves me just the way I am. I never found in anybody else what I found in him,” Sanclemente said. Now 32 and sentenced to six years and eight months behind bars, the promising career she once had seems like a vanished dream. Nicolas Gualco, her boyfriend, and Daniel Monroy, Gualco’s uncle, have also received the same sentence. Sanclemente had expressed regret once before about making the wrong choices. She was dethroned as Colombia’s queen of coffee for breaking the rules by having been married. Reports say that she was once married to a Mexican drug trafficker, but she’s always denied that was the case.